Late last week it emerged that the originator of the Battle Royale craze, PlayerUnknown’s Battlegrounds, had been distilled into a Lite version for less-muscular PC systems. PUBG Lite is a completely stand-alone game and will be free-to-play, with a limited set of features that will trickle down from the paid-for game. 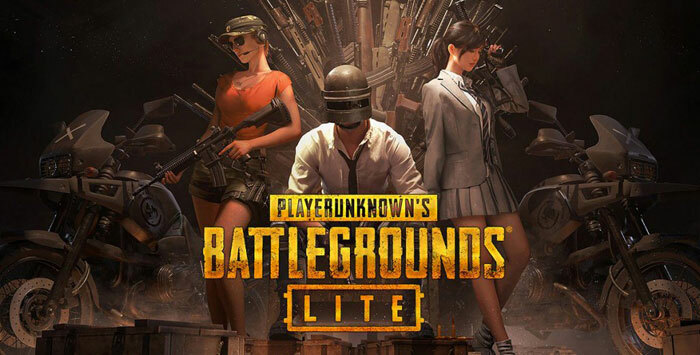 At the time of writing the testing of PUBG Lite is limited to Thailand residents as a beta version to help the developers decide whether it is viable in other regions. In the official blog post the developers of PUBG Lite explain that they hope that the new standalone game brings the PUBG experience to "areas where the core game's required specifications are more difficult to achieve due to the hardware available". That sounds like this isn't particularly aimed at people in western countries with lower-spec hardware. The PUBG Lite team adds that it has "focused on balancing lower hardware requirements, without compromising on our quality standards". Thus the PUBG Lite is "playable even on computers and laptops utilizing integrated graphics." The specs list from the PUBG Lite developers is quite a contrast to the paid-for full game which is well known for a lack of optimisation. The new recommended GPUs are the minimum level required by that full-fat game, i.e. an Nvidia GeForce GTX 660 2GB (or AMD equivalent) or better. Furthermore, Fortnite players may have noticed PUBG Lite's min/rec specs align rather closely to Epic Games' Battle Royale challenger. It will be interesting to see what has been done to reduce hardware requirements in terms of PUBG's visuals. Screenshots and videos (and VPN region lock workarounds) have already started to trickle onto the web. Obviously, the PUBG games developers are looking enviously at Epic Games' estimated $2.4 billion of income from the f2p Fortnite franchise last year. PUBG didn't do badly either though, earning over $1 billion from its paid-for offering, making it the top grossing premium game of 2018. So this should run good on AMD Ryzen 2400G? Why PUBG when you can Ring of Elysium?